Okay, so it wasn’t as much of a photo finish as this representation would have you believe. But Memphis, Tenn., CBS affiliate WREG can easily claim ratings supremacy for the May ratings period. 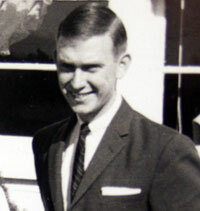 Memphis chief meteorologist Dave Brown has celebrated 50 years in broadcasting, 35 of which was spent at NBC affiliate WMC-TV. But why was his name trending on Twitter Tuesday night? 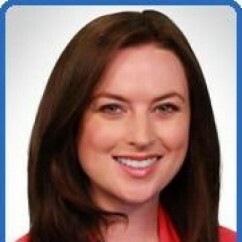 Sabrina Hall, former weekday anchor and reporter at Madison, Wis., station WKOW-TV, has accepted a reporting job at WREG-TV in Memphis, Tenn.
Hall started last month at the CBS affiliate. 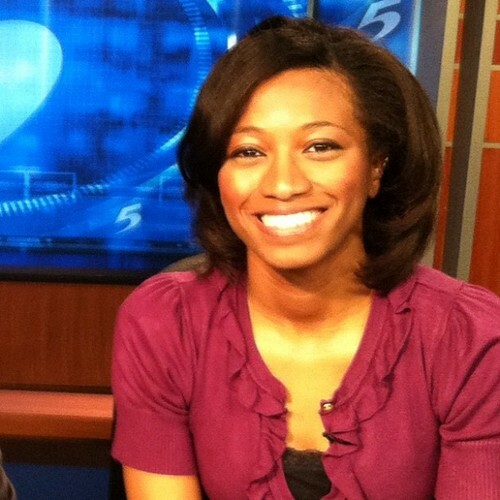 Texas native Michele Reese has been hired by WREG-TV, the CBS affiliate for the Memphis, Tenn., market, where she’ll serve as a reporter. 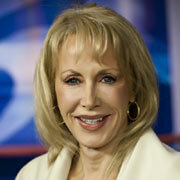 According to her biography on the WREG website, Reese had previously worked at KYTX in Tyler, Texas as the 5 p.m. anchor and investigative reporter. 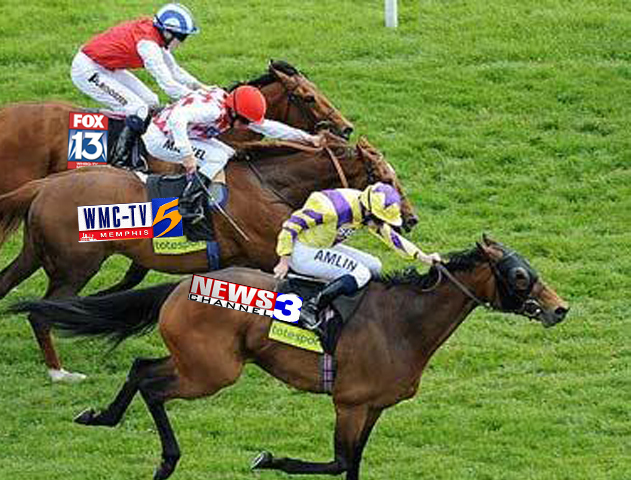 WMC-TV wins the coveted ratings war in Memphis. 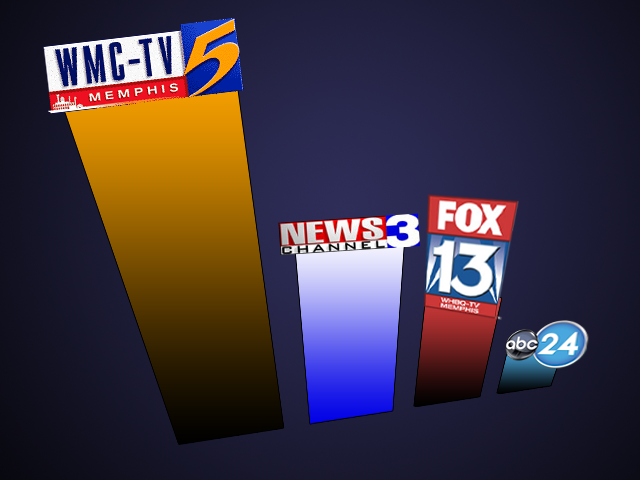 Memphis NBC affiliate WMC-TV consistently lauds itself as the most-watched television station in the market, and now recent ratings numbers prove it. Station execs tell the Commercial Appeal newspaper they dominated every time slot for news. It’s the first time that’s happened for WMC in fifteen years, they say. It’s a big no-no, and honestly, a Memphis station should know better. But in a breaking news report on WMC-TV’s website earlier tonight, reporter Janice Broach said “sources” told the NBC affiliate about a man being held in custody in connection with post office shootings last year in Henning, Tenn., that killed two people. The problem here is a thin line that exists for journalists: anything that isn’t sourced can’t be verified. Saying “sources” in a report is asking someone to trust you, when, if you got the information through the proper channels, you could quote the actual authorities involved. I’m sure there’s more to this story than meets the eye, but this article highlights a big pet peeve of mine. Unless you work in Washington where power players pass rumors around like party favors (and the Beltway gossip is reportable fodder), don’t use anonymous sources. 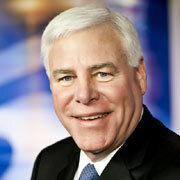 It doesn’t do your viewers justice, and in the case of WMC-TV, it seriously compromises your credibility. And yes, this is my opinion. Motivations run aplenty in the television journalism world. Some want to be part of history; others want to make their own. I was using a Bell & Howell, 16mm hand camera powered by a wind-up spring. When all hell broke loose, I was filming the two groups of people, marchers and those charged with upholding the law, in a bloody fight with neither side ceding ground. One particular conflict was happening right in front of me so I swung my camera in that direction. This involved four police officers whaling on one marcher who was shielding his head with his hands. Off to my right an officer named Wilkinson was being led to an ambulance, blood streaming down the side of his face. When I turned my camera back towards the first melee, a Shelby County sheriff’s deputy was passing in front of me and I noticed his nametag had a strip of black tape over it, blocking his name and his face visor was pulled down.